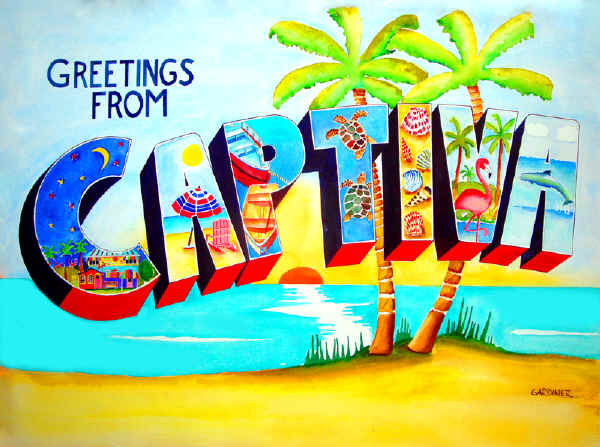 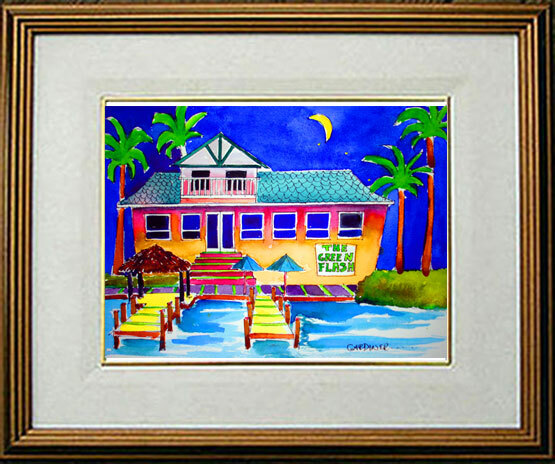 The Bubble Room and Captiva Cruises. 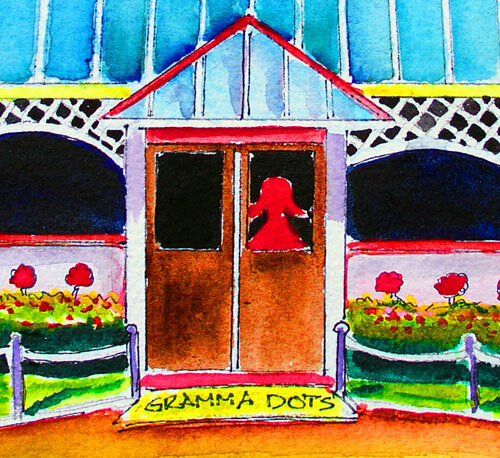 Please support them. 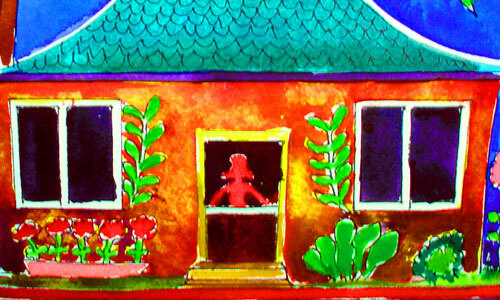 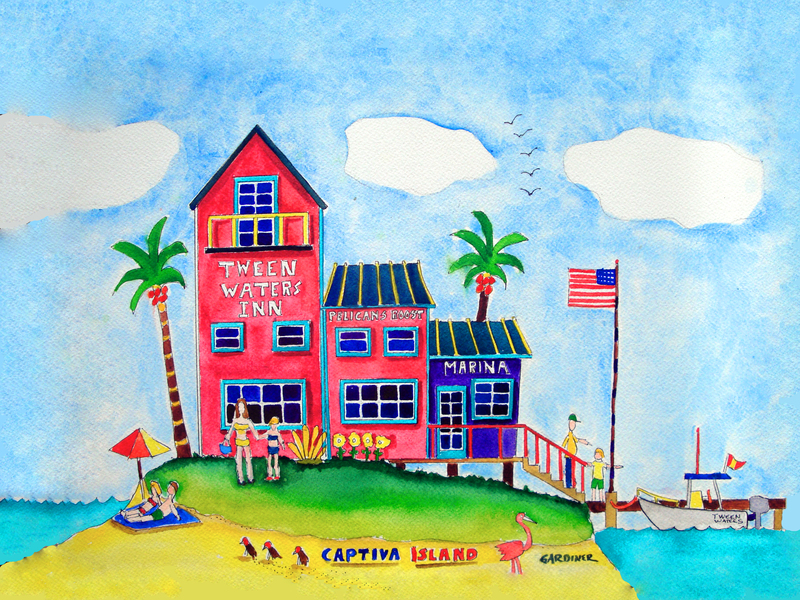 Original Watercolor 20" X 35" painting. 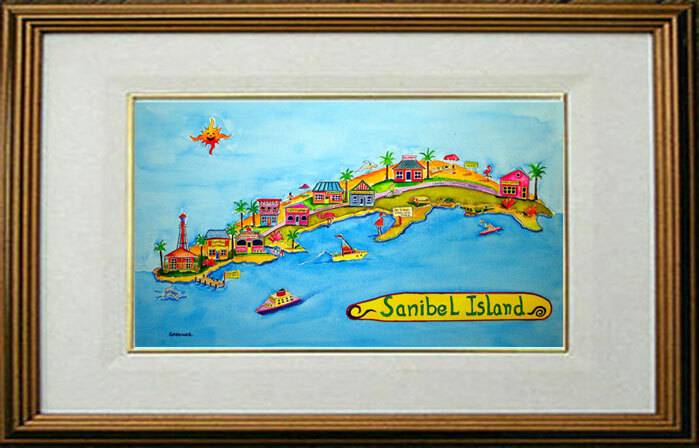 Original Watercolor 35" X 20" painting. 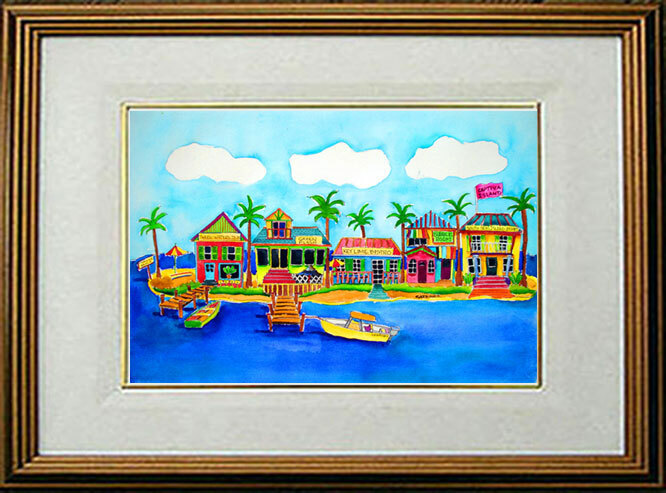 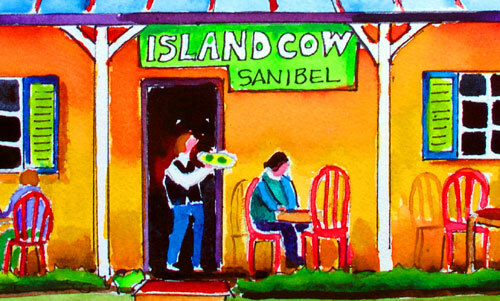 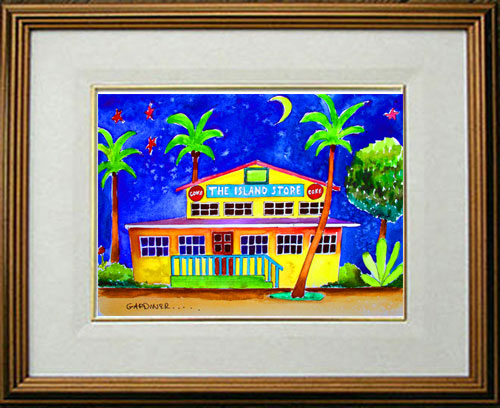 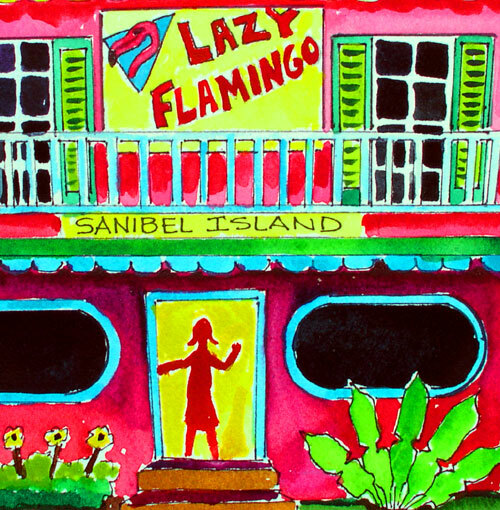 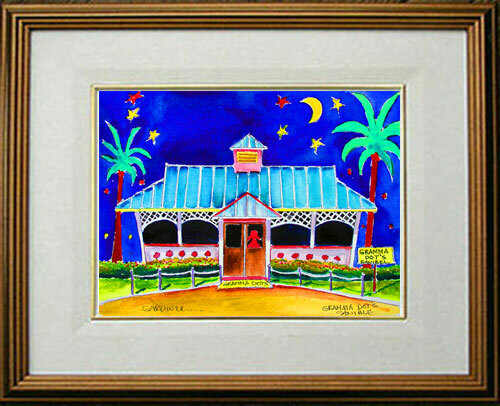 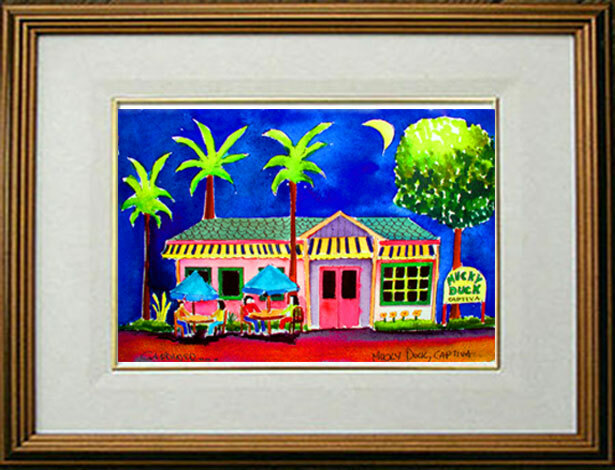 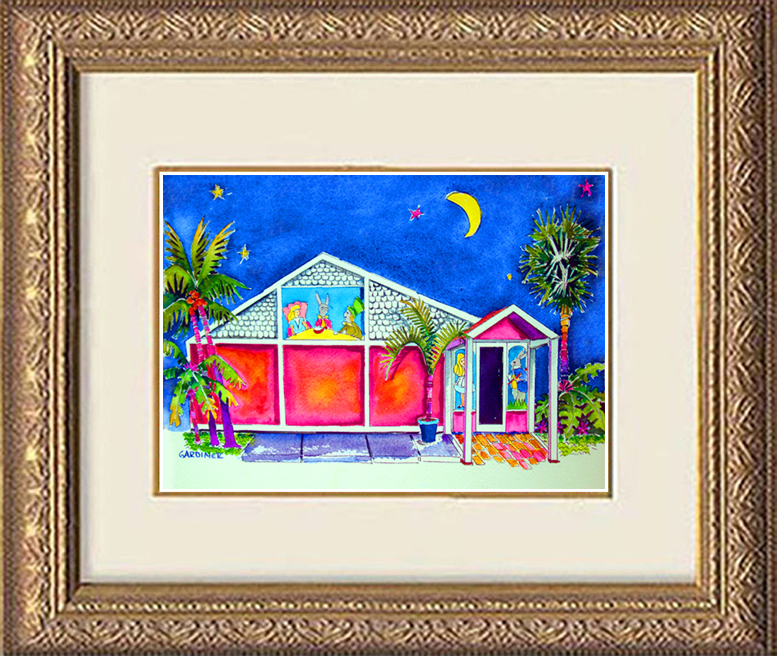 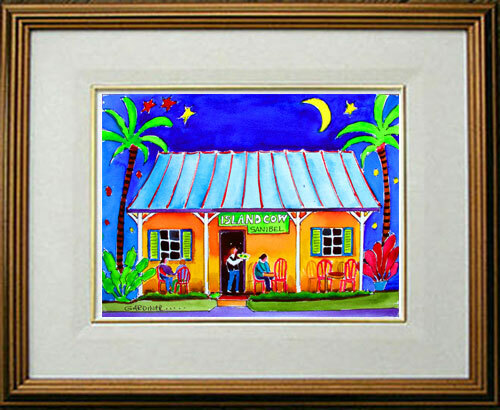 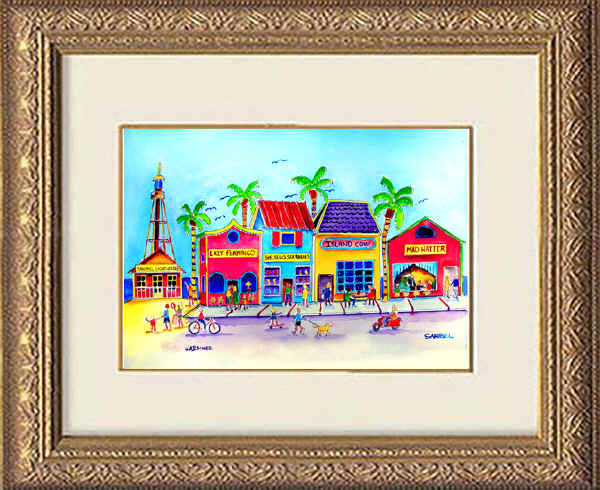 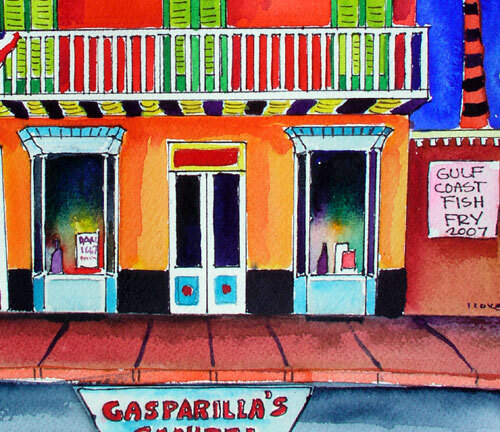 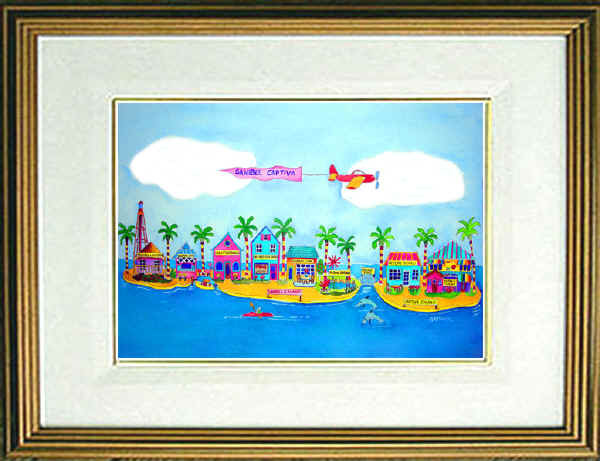 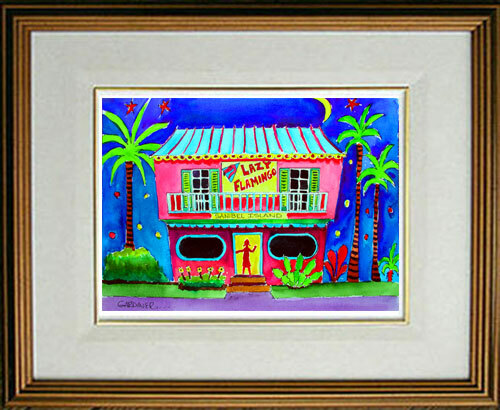 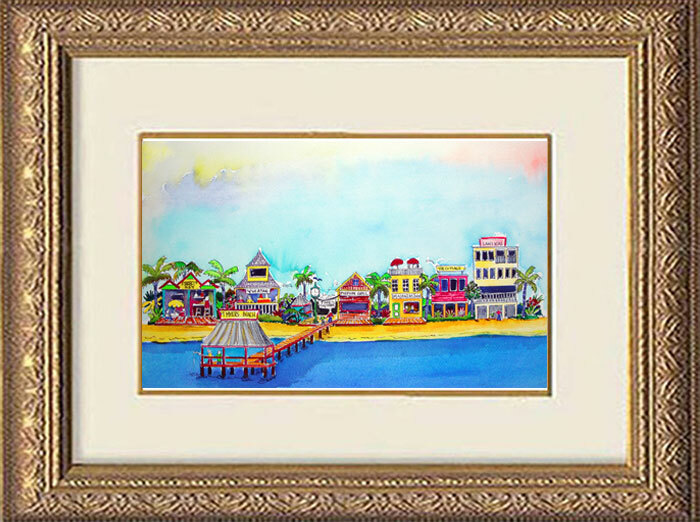 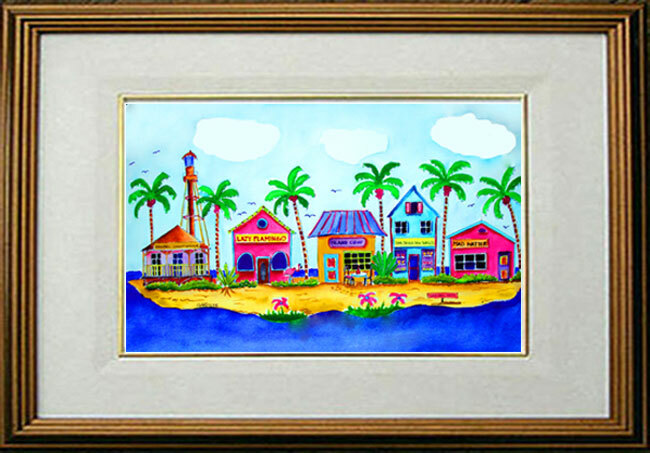 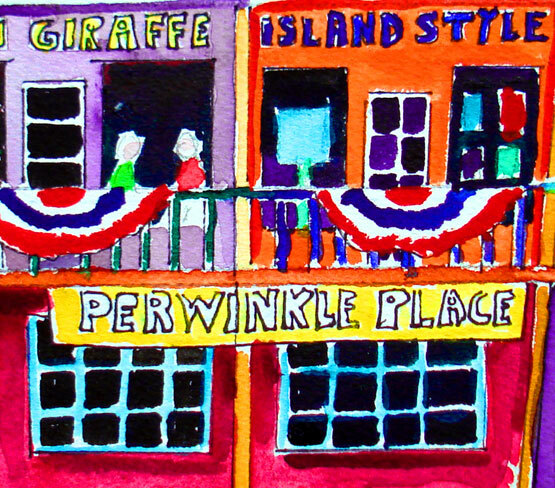 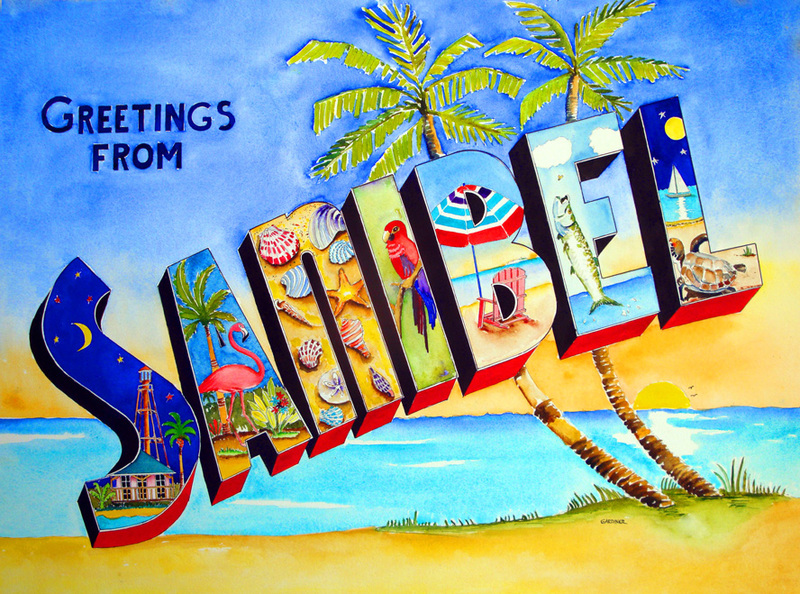 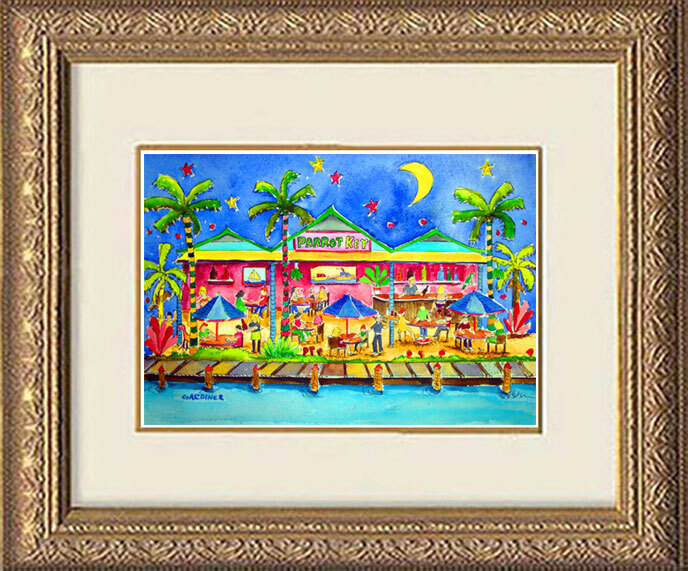 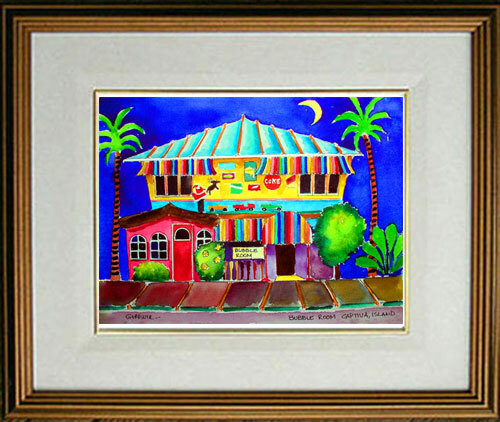 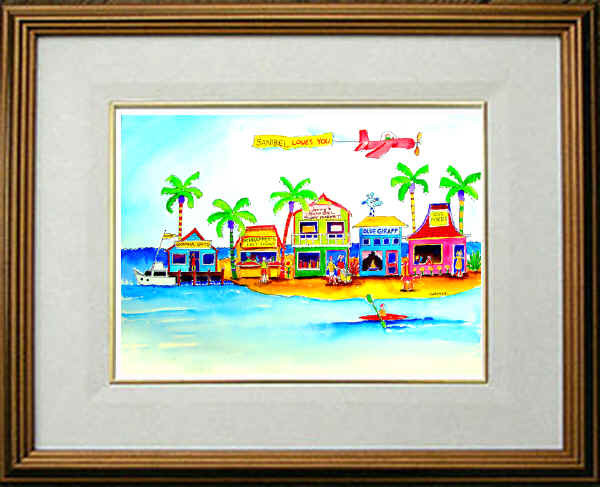 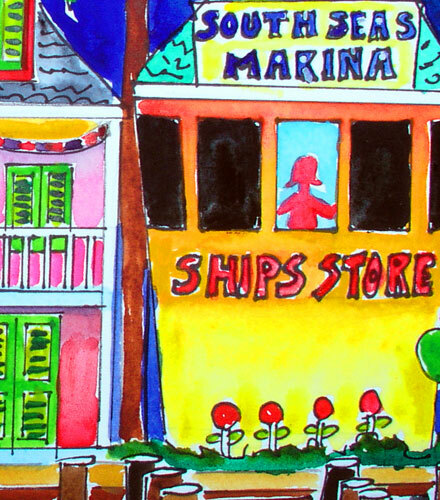 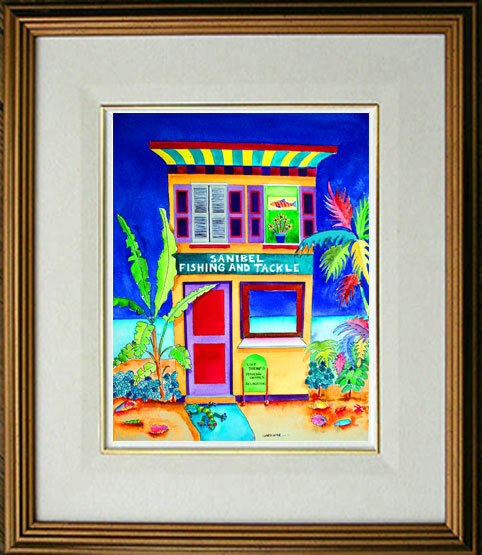 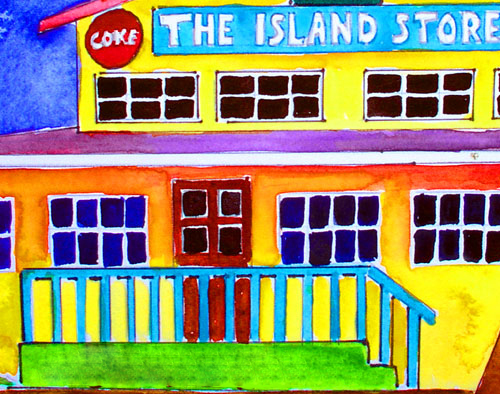 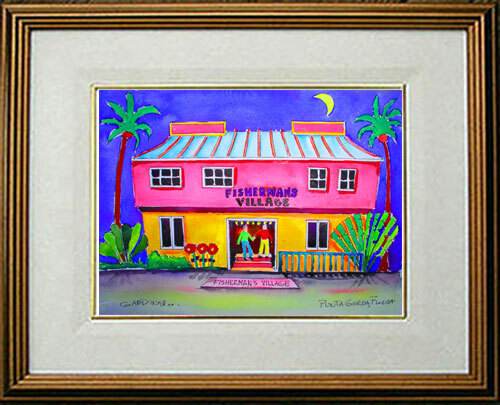 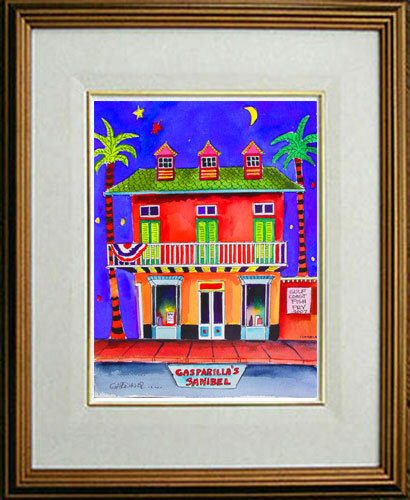 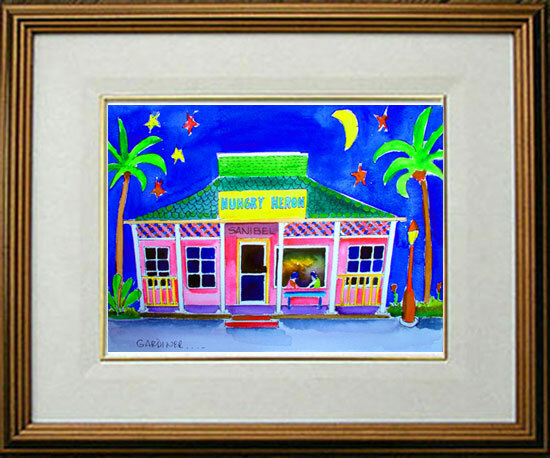 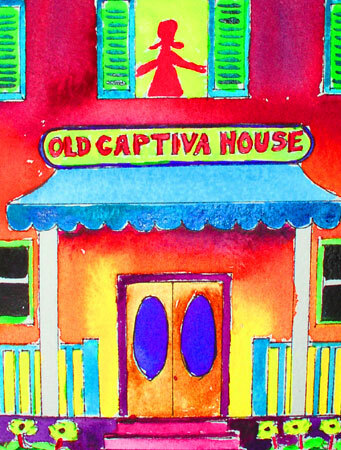 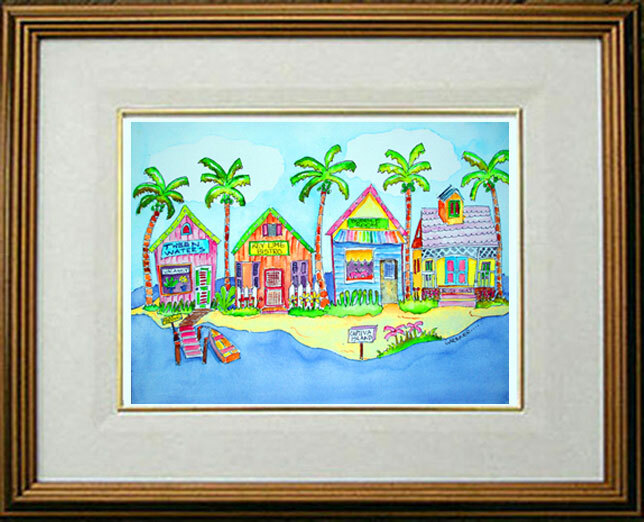 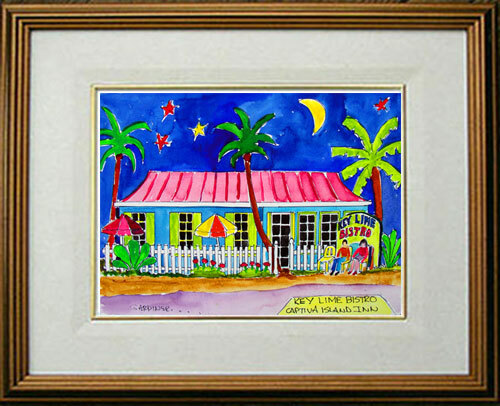 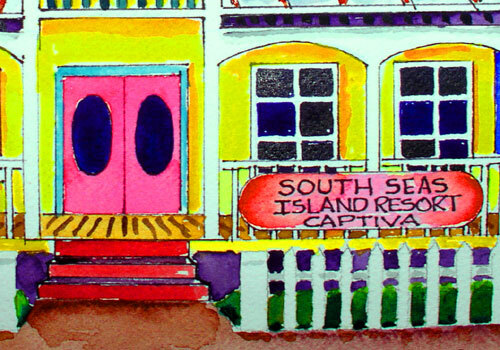 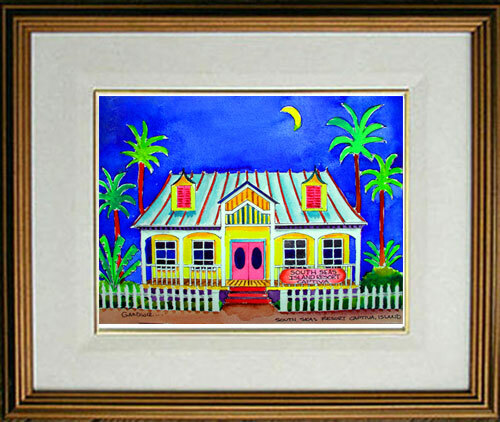 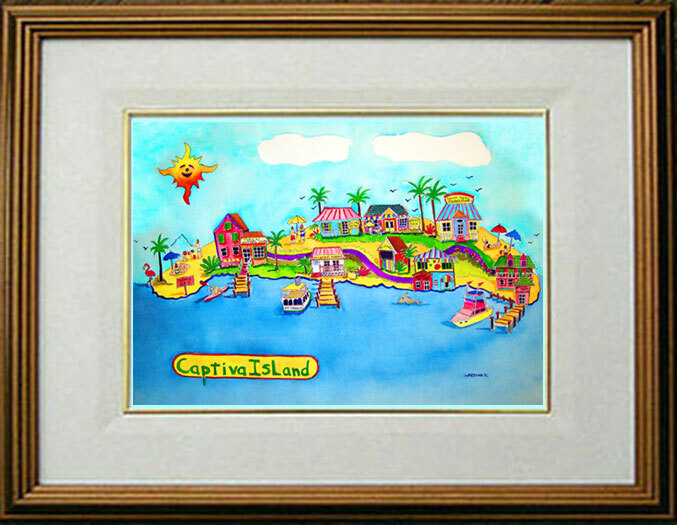 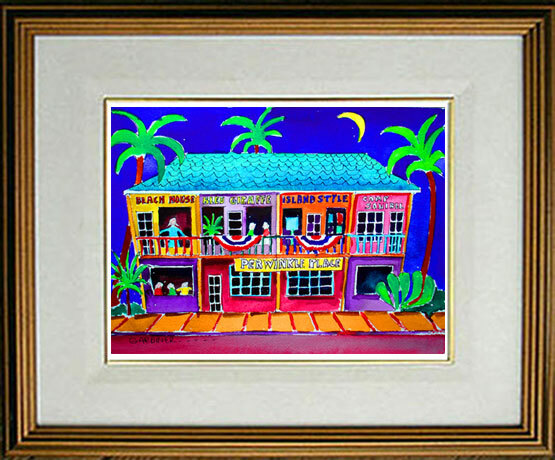 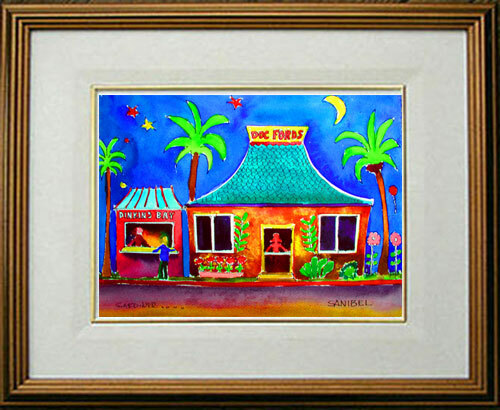 "All our favorite island places"
Original Watercolor 11" X 14" painting. 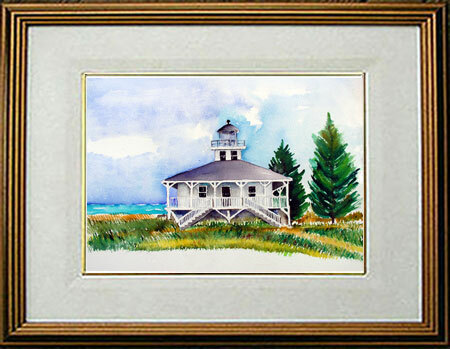 Original Watercolor 12" X 16" painting. 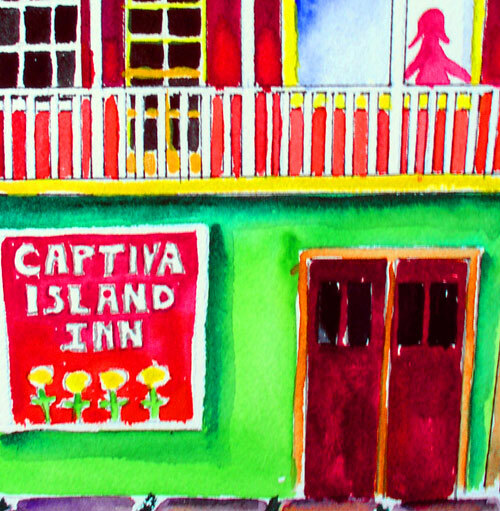 Original Watercolor 9" X 12" painting. 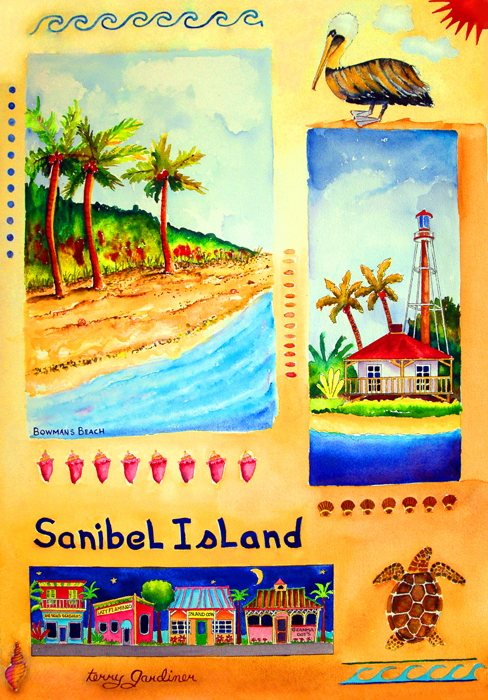 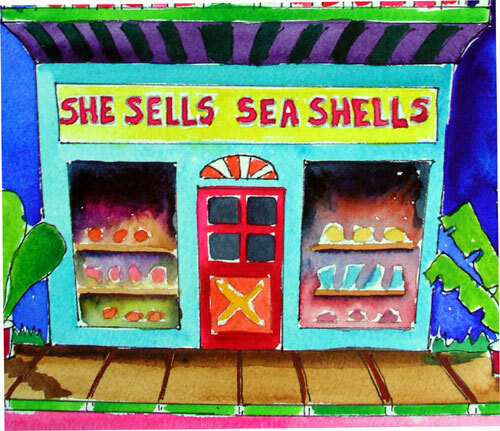 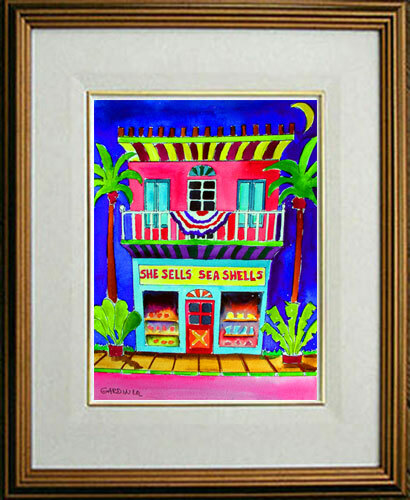 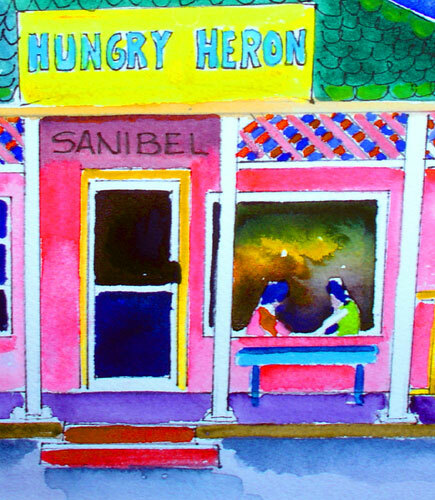 "She Sells Sea Shells, Sanibel"
"She Sells Sea Shells close up"
Original Watercolor 10" X 14" painting. 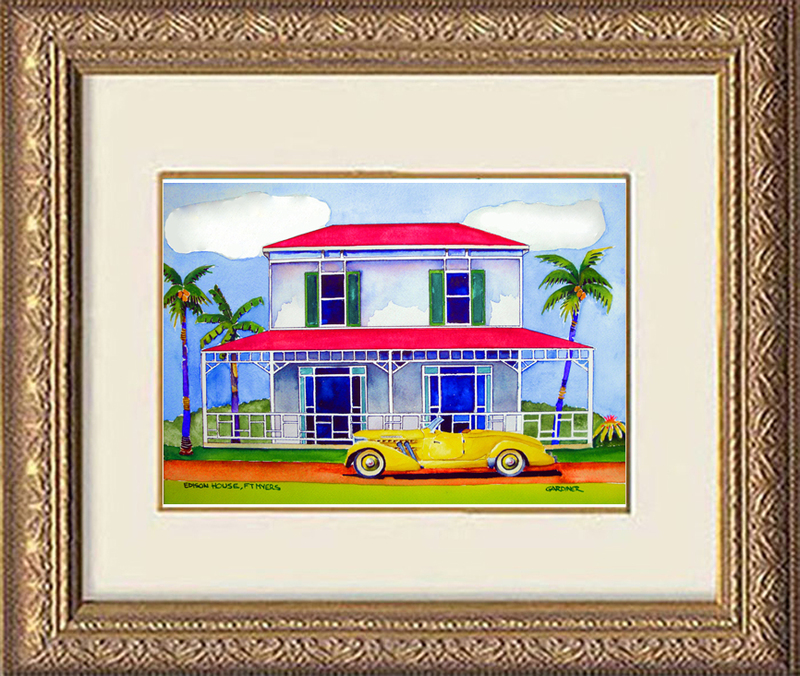 Unmated and unframed. 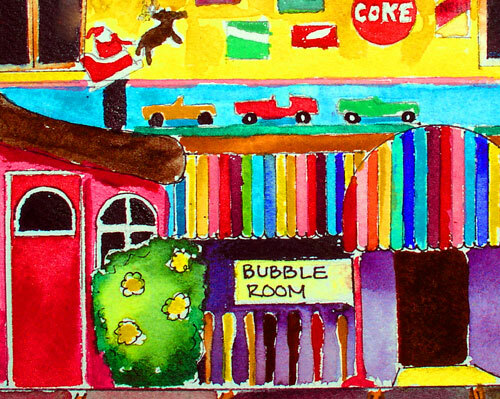 Dated 2/2007. 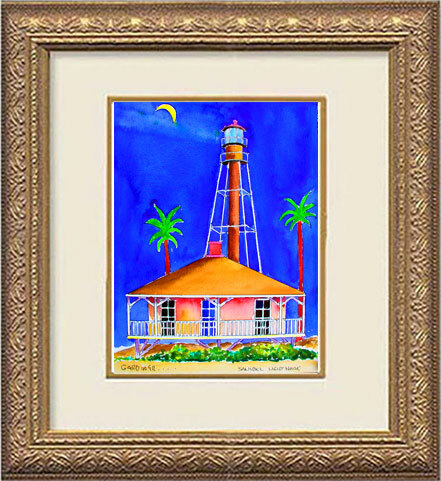 Unmated and unframed. 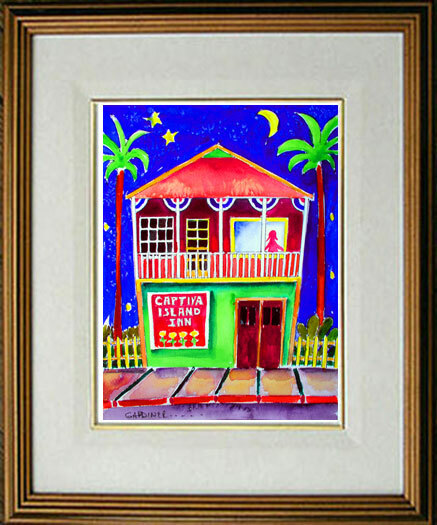 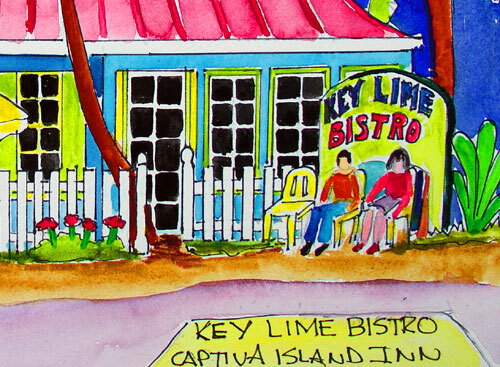 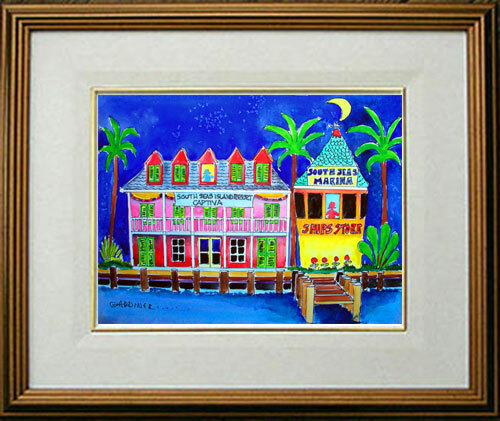 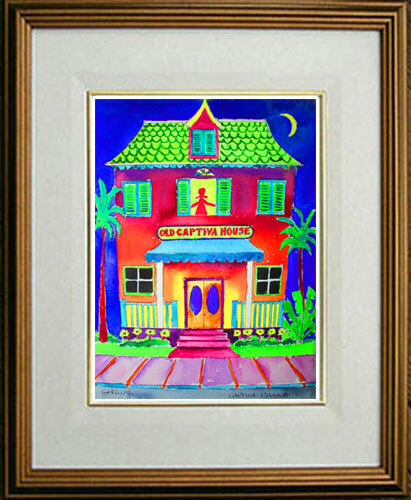 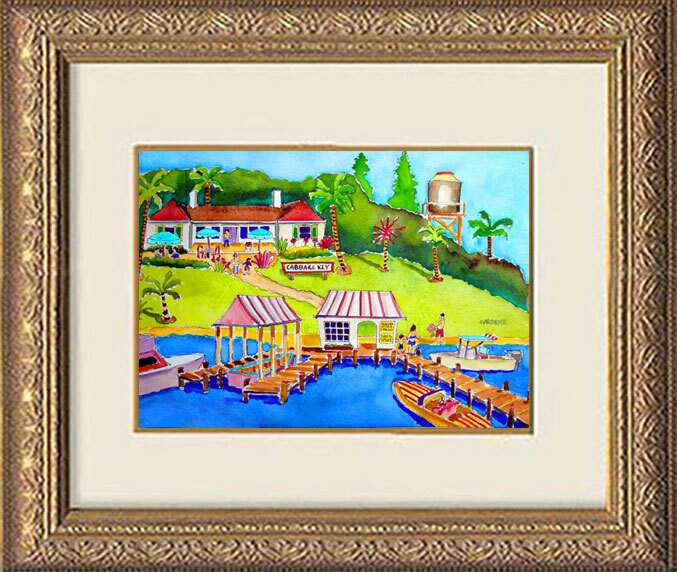 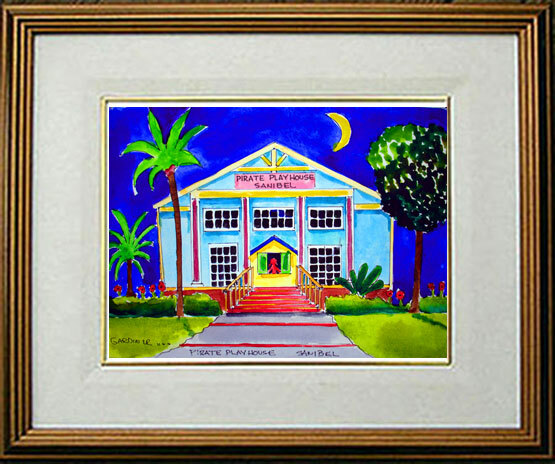 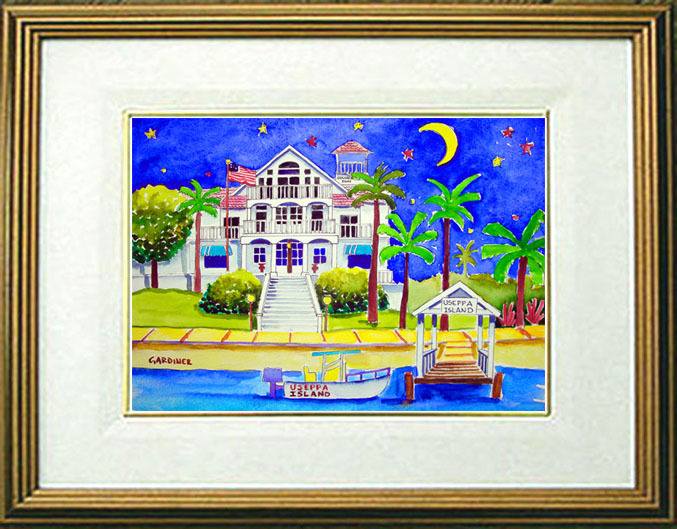 Dated 12/2006..
"Tween Waters Inn, Captiva 2010"
"Old Captiva House close up"
"Captiva Island Inn close up"
"South Seas Island Resort Marina, Captiva"
"South Seas Marina close up"
"Thomas Edison House- Ft Myers"
"The Father of Ft Myers"